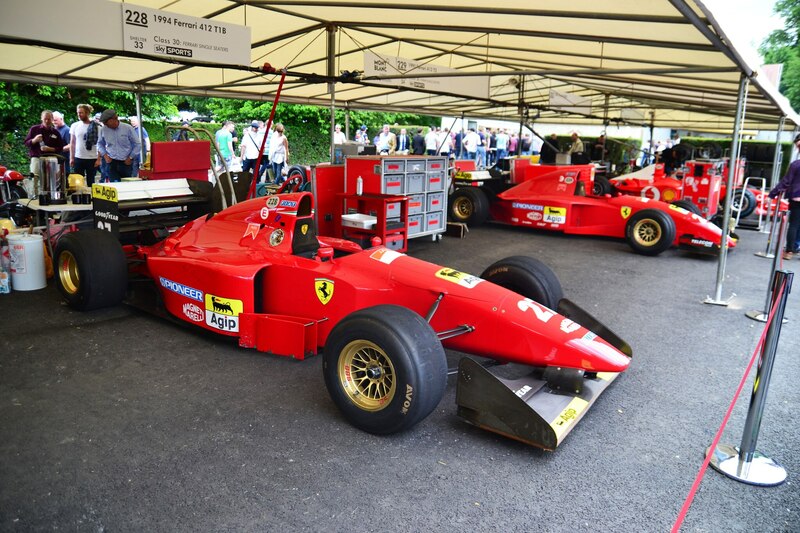 The endurance racers, supercars, and rally cars were great, but one of the most awe-inspiring spectacle we’ve ever seen were the historical F1 cars charging up the Goodwood hillclimb. From Post-War bombers, Cosworth DFV screamers, turbo-era monsters, and V-10 weapons, they were all out in full-force. Here’s our favorites from Goodwood’s cluster of F1 heroes. 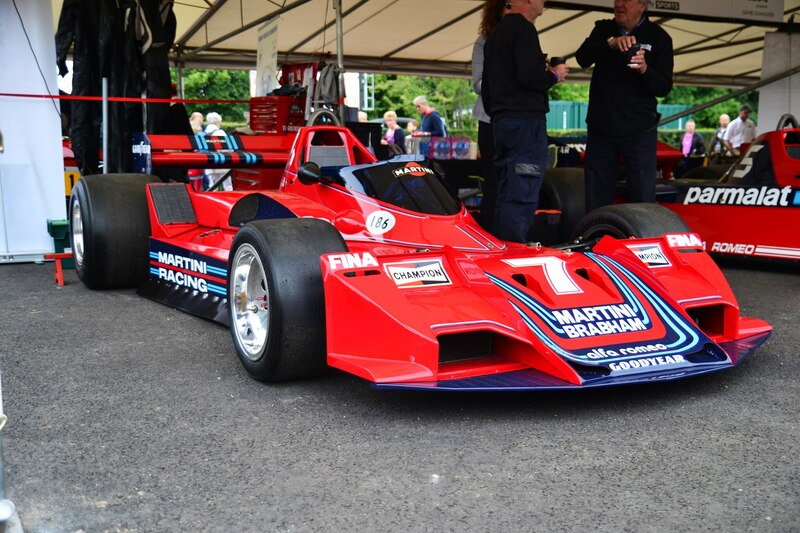 Of all the F1 cars we saw that weekend, none had the same strange presence of the BT45. At rest, it was a jumble of shapes, air dams, intakes, and flat surfaces. In motion, it looked as though it was ripped straight from a sci-fi thriller. Looks aside, this was the intersection of three big names – Brabham, Alfa Romeo, and Martini Racing. Power came from Alfa’s glorious 3.0-liter flat-12 engine, a breath of fresh , twelve-cylinder air when compared to the ubiquitous Cosworth DFV V-8 that proliferated the starting grid at the time. Forget Honda’s current troubles as an engine supplier in F1 – we choose to focus on the Japanese automaker’s F1 efforts from the ‘60s. 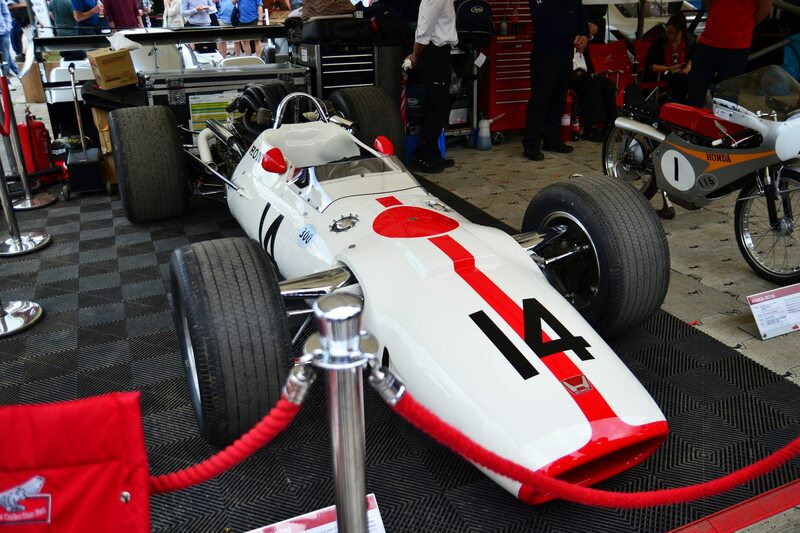 For a time, Honda teamed up with two- and four-wheeled legend John Surtees, who drove this gorgeous ’67 RA300 to victory at the 1967 Italian Grand Prix. According to contemporary reports, the 3.0-liter V-12 engine spit out around 400 hp, enough to spin the tires in third gear at 100 mph. Part of the car’s competitiveness was thanks in part to Lola, who played a large role in chassis development. 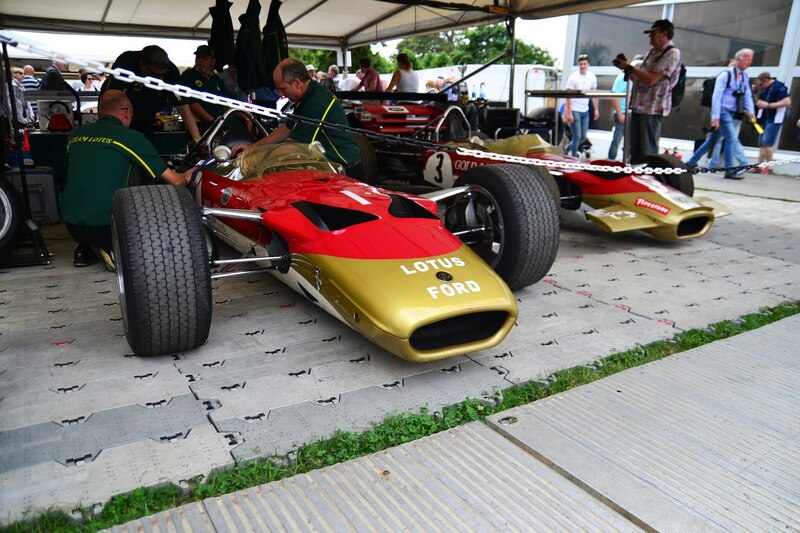 This was one of Lotus’ most successful grand prix cars, particularly at the hands of legends Jim Clark and Graham Hill. In an era with homogenized 3.0-liter Cosworth DFV V-8 engines, Lotus worked on the chassis to produce a car that made use of the drivetrain as a stressed member. We also must admit we were drawn to these crimson-and-gold cars based on their unconventional livery, at least as far as Lotus goes. 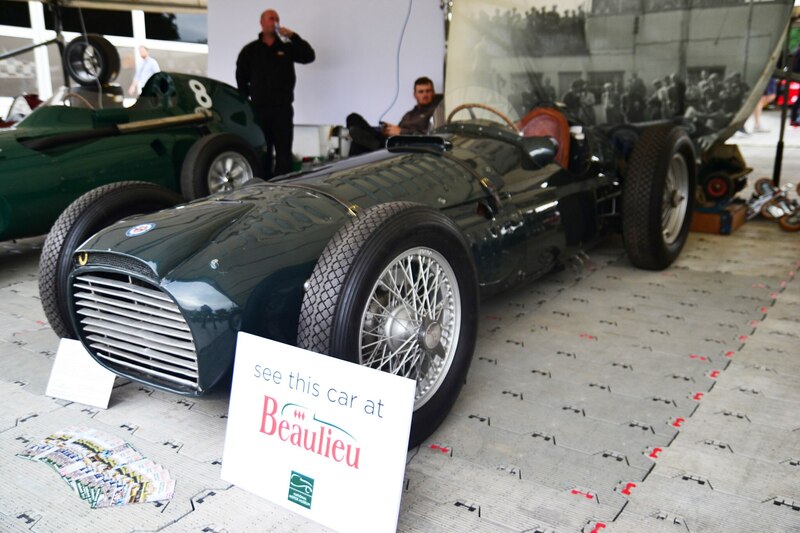 Most grand prix cars from Hethel wore British Racing Green or John Player Special colors. Japanese automakers have made a history of eking out every little bit of power from small four-cylinders, but they don’t hold a candle to BRM’s innovative powertrains in the early 1950s. This is a Type 15, a grand prix racer known for its 1.5-liter supercharged V-16 engine. Go ahead – re-read that once more. Out of just 1.5-liters, BRM managed to stuff 16 cylinders and extract 600 hp. In an era of 400 hp – 500 hp cars, the BRM was spectacularly powerful. Alas, the V-16 was also horrendously unreliable, thanks to unmanageable complexity. This particular Type 15 is a Goodwood regular, having run up the hill in the past. Unfortunately, we didn’t get to enjoy the BRM’s unique exhaust sound this time around, considering the engine was sitting disassembled on a workbench somewhere in England, receiving a full rebuild. Speaking of great-sounding F1 cars, these shapely rosso monopostos are examples of Ferrari’s mid-1990s F1 entrants. The car in the foreground is a ’94 412 T1B, packing a particularly sonorous 3.5-liter V-12, producing an incredible 830 hp. In the background is the updated ’95 412 T2, featuring a downsized 3.0-liter V-12. At this point, these old Toyota F1 cars just remind us of the unfortunate struggles that beset the automaker’s decade-long involvement in the sport. Still, when compared to the current turbocharged V-6 F1 cars, these old V-10 banshees are incredible to see and hear in motion. This is the TF104, an unsuccessful attempt at rectifying the issues that plagued the previous season’s cars. 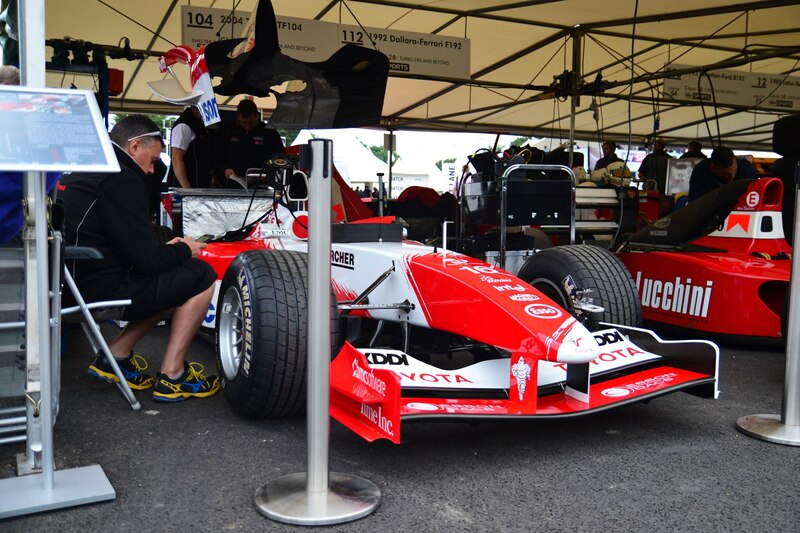 This was the final Toyota F1 car designed by Gustav Brunner, who was replaced with Mike Gascoyne mid-season.